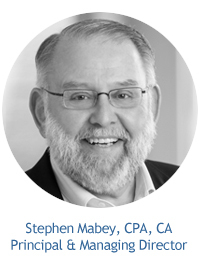 Kicking the Can Down the Road – Again ~ Stephen Mabey ~ Applied Strategies, Inc.
Too bad the legal profession could for once imitate life! The issue of pre-existing conditions is receiving heightened scrutiny by the public and may actually be dealt with in the not too distant future. Conversely, the legal profession has opted to “kick their pre-existing conditions” down the road once again. As we approach the close of one year and the start of another, this column will draw attention to four “pre-existing challenges” that most firms appear to be once again deferring dealing with to another year. The “pre-existing challenges” listed below are not in any particular order as their importance will be determined on a firm by firm basis. One of the continuing real challenges of firm growth is allowing the partners and associates to stay focused on the practice of law in the face of growing management and administrative needs inherent to running a law firm both today and as it continues to grow into the future. Many partners, accustomed to consultation and even control in the context of small and midsize firms, are reluctant to cede their authority as the firm changes. This means that many firms carry on growing far beyond the normal transition point without any change in structure; the growing pains become more acute as they struggle to continue to accommodate extreme consensus (or indeed extreme autocracy). These law firms suffer from “governance blob”, which is when it is unclear who is authorized to make decisions - in the minds of the partners and its management. To avoid duplication of effort and resulting inefficiencies and divisive frustrations, it is critical that the partners agree on the issues that should come before the partnership for its deliberations and resolution and those issues that should be addressed by the firm's management. Approval of the firm's credit facilities with banks and other third parties. The elimination of “governance blob” in no way means there will be no consultative process when needed or that consensus seeking will be a thing of the past. However, the key difference is that the partners will be able to concentrate on their practices, with the knowledge that operational and strategic issues are receiving the attention required. Perhaps it is a term that has taken on so much negativity and hostility that we should just stop using the “S” word and focus on what we are really trying to accomplish. In a perfect world, all clients would be clients of the firm and transition would not be nearly the challenge it is today. But few ever get to work in a perfect world! Transition planning is essential for firms that want to ensure the continuation of a strong, healthy firm for many years to come. The concept is a simple one - “Transition Planning” is about unfolding the future back versus pushing the current forward. Practitioners deserve to be rewarded for their hard work in building a practice within the firm and the firm itself. ... the new generation of partners waiting in the wings ...deserve the opportunity to grow within the firm. Likewise, the new generation of partners waiting in the wings (Equity or Income) deserve the opportunity to grow within the firm. Because transition planning is a strategic process, not a tactical one, it cannot be delegated. Whether the lawyer slows down incrementally or the clients drift away incrementally, the firm loses clients. Ad hoc transitioning is clearly the wrong choice. While there needs to be a firm transition plan, it is important to design it with some flexibility that allows for the uniqueness of each lawyer's situation and provides further incentive for everyone involved to ensure success. While a few law firms have disappeared due to a lack of effective client/practice transition, many more have disappeared due to a lack of transition planning for the management of the firm. Identify purpose/goals/objectives: Identify specific goals for the transition planning effort. Define Competencies: (knowledge, skills, abilities, and personal characteristics) that are essential for the role(s) targeted for the transition planning effort. Competencies can be functional (technical expertise) or leadership-based. Identify Candidates: For transitioning planning efforts, based upon the results of the competency review. Assess Candidate Performance/Potential: Often referred to as a “talent review,” this is where the managing partner reviews candidates' performance on assigned tasks so that they can uncover potential, such as empathy, learning agility, adaptability, creativity, business development, client interfacing skills, a sense of curiosity, etc. Accelerate Development: Based upon a gap assessment for each candidate, work with the candidates to create individual development plans that address the gaps they have in knowledge, skills, or experience. Individual development plans can include mentoring, coaching, intentional networking, formal development programs, education courses or degree completion, stretch assignments, mobility assignments, and institution or system service opportunities. Build a Support System: Work to create good communication systems and processes for the transition planning effort. Evaluate a Transition Program: Based upon the measurable goals and objectives that are set for the transition planning effort, evaluate results and refine the program as needed. ...communicate the plan throughout the partnership. Commit to the completed management transition plan by formally communicating the plan throughout the partnership. For your leadership development program, you should promote its implementation as a facet of your management transition plan to increase loyalty and morale among upwardly mobile lawyers. There is a popular belief that embracing new applications doesn't make sense because of the lost revenue that could result from the firm being more efficient. There is another perspective that embraces part of a loaf is better than none – as someone will have the vision to embrace the technology and when they do it won't be a case of reduced but rather eliminated revenue. If you are motivated by growth in both the top and bottom lines, then think about the large legal market that is currently going untapped (access to justice issues from a different perspective) because law firms have priced it out of reach and so the potential source of fees goes unaddressed. This market is and will be accessible by law firms that leverage applications to perform the tasks efficiently and with less costly lawyer intervention. The only important answer is from your clients' and it cannot be clearer – NO! Innovation is simply about change. Until firms have switched their thinking to "it is far worse not to have tried to innovate than to have tried and failed", the odds of achieving breakthrough innovation of any nature remains low. By 2020, Millennials are expected to make up 46% of the US workforce, and by 2025, Millennials will account for 75% of the global workforce. But this imminent reality has not stopped law firms from continuing to misspend a lot of energy debating whether this new generation have our "same work ethic” or “a real commitment and loyalty” but frankly it doesn't matter if they do, or they don't. Pay attention to their continual development to master skillsets that help them to become increasingly competent as lawyers. I am certain the irony is not lost on partners that the existence of governance blob; the lack of the existence of a transition plan, and an inability to embrace change and innovation; flies in the face of any efforts by firms to engage millennial lawyers. To thrive in 2019 and beyond, law firms need to stop kicking the can down the road! what you bring to the New Year."